I've recently had a few questions around the UserId and InitiatingUserId properties of the execution context, so I thought I'd attempt to clear up any confusion. The simple fact around user impersonation in Dynamics CRM is that it isn't simple! I could write pages on the subject but instead here are 2 grids that explain everything you need to know. The key point to remember is that these User Identities have very little to do with the Windows Authentication Identity (service accounts etc.) – they are all GUID's that refer to User records within your Dynamics CRM Organisation. The following grid shows the various user identities present for Plugins. 'Triggering User' refers to the logged in user who saves the record in Dynamics CRM and triggers a Plugin to fire. It's also worth noting that offline plugins will fire once offline as shown and then *again* on the server. 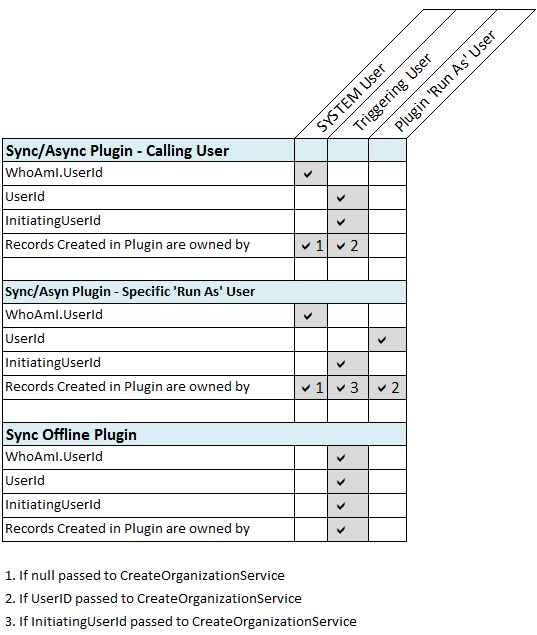 The following grid shows the various user identities present for Workflows and Dialogs. 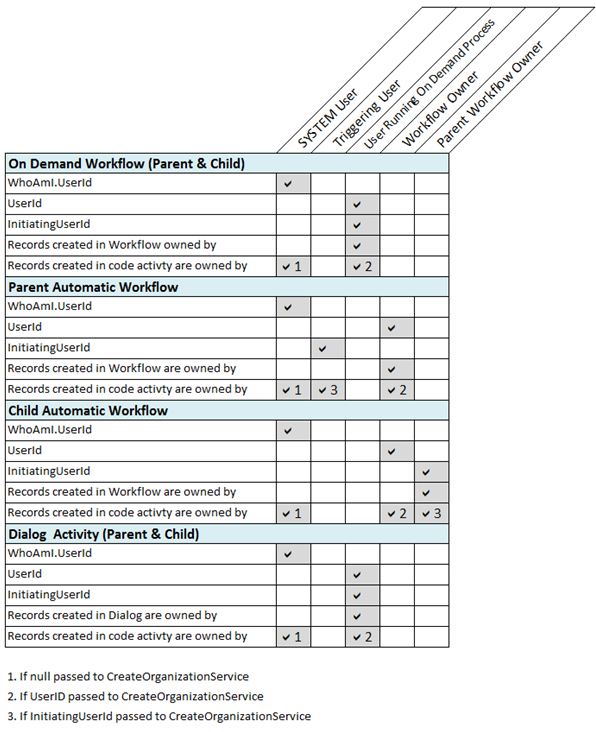 The interesting thing here is the difference between Parent and Child Automatic Workflows. Hope that settles the matter - I'm sure it won't!